On August 29, 2017, 17-year-old high school linebacker Lennon Lacy was found hanging from a swing set in Bladenboro, North Carolina. Was it suicide or murder? Part exposé on the ongoing public savagery of whites towards blacks in the South, and part whodunit thriller, Jacqueline Olive’s masterful film explores the lingering impact of more than a century of lynching African Americans (who were “always in season” for hunting) and connects this historic racial terrorism to racial violence today. Delivering one unsettling gut punch after another, this powerful and meticulously researched work frames the reality of systemic racism and examines how deadly it can be. 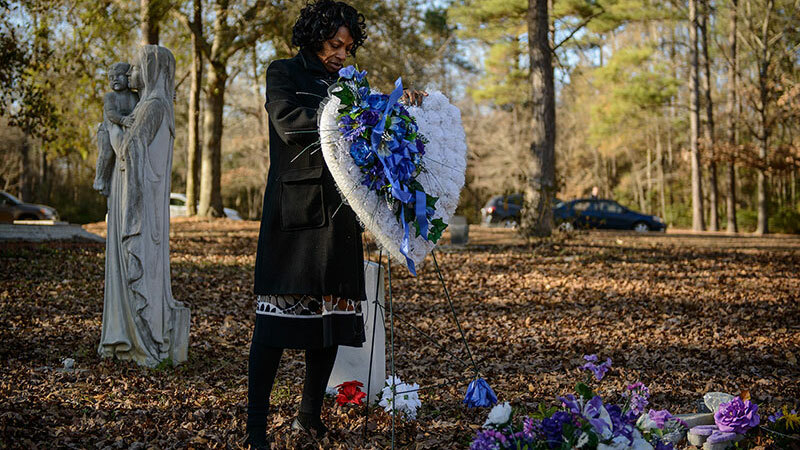 At the same time, the film encourages us to face this history, to find closure, and to begin healing—even if that includes opening old wounds and staging annual lynching reenactments so that we may never forget the victims and the perpetrators. With grace and purpose, Trey Sebrell runs one of only a few funeral homes in Mississippi for those dying from HIV/AIDS-related conditions. From the directors of “Winter’s Watch” (FFF 2018) and “The Carousel” (FFF 2017).